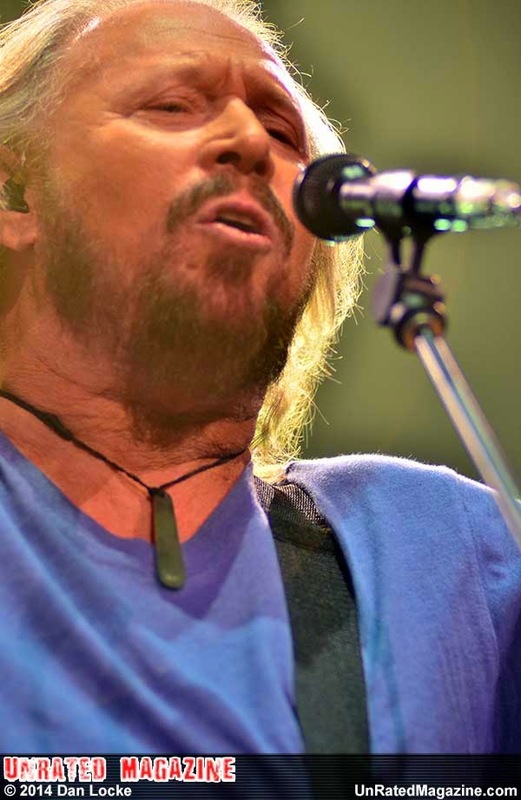 Barry Gibb of the band The Bee Gees came to Chicago to perform a solo concert during his Mythology Tour 2014 at the United Center on Tuesday, May 27, 2014, in Chicago. 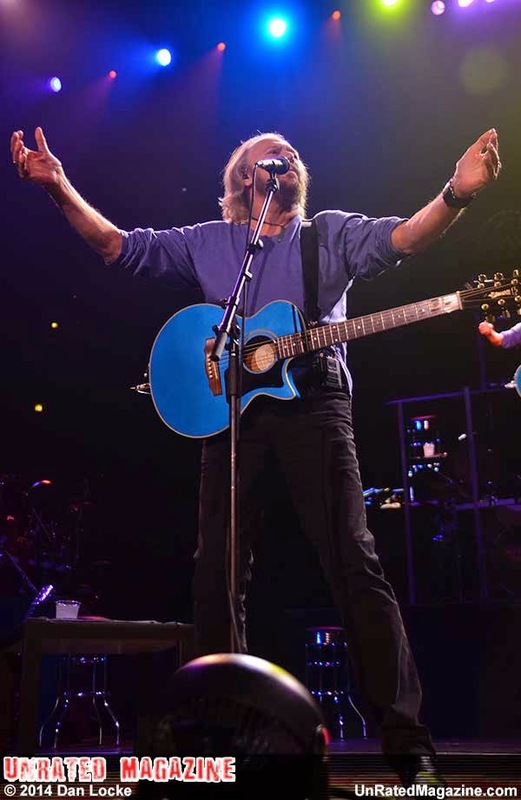 This was the first tour he had done in his career without his brother’s support, with the death of his brothers Marcie and Robin he was not along on this tour, because he still had the support of his oldest son on guitar, Maurice’s daughter,his niece Samantha, and his wife of 44 years Linda. I was born in the early 60’s and being a guitar player I fell in love with all the Bee Gees 60's hits. Learning to play them in a classical guitar style. And by the time the late 70’s happen. I was not too happy for with what they did to their music. But had to respect it. I should point out I was not a big disco fan. So now fast forward 40 years. Barry is the last surviving member of the musical family. And without his brothers on stage with him he was still able to use his charming humor to keep the crowd entertain for over 2 hours. As I looked into the crowd. I saw a mix audience of old and young. With the average age being in the mid-50s, they were dancing in their seats and singing along with every song him song. Barry sounded great for being in his 60s. I have heard other singers from that time period and they could out hit those high notes. I feel one of the most touching times during the show was during his performance of “I Started a Joke”and on the video monitor behind him, his late brother Robin appear and took lead on the song. It was great. The Mythology Tour 2014 is only hitting 6 cities. I hope Barry will continue the tour so more can see his tribune to his musical career.